Growing up, this was how emotions were treated in my church. Emotions were fleeting. Feelings didn’t really count. They weren’t to be trusted, and if you could substitute in a Christian word that was less about how you actually felt and more about how you were supposed to feel, that was a far better choice. You didn’t feel happy, you were joyful. You didn’t feel like you were a good person, you followed the rules. I took this very much to heart, especially as a teen who wanted to impress her pastor with how well she understood what it meant to be a “real Christian.” I learned that how I should feel was far more important than how I did feel. Being “joyful always” meant that no one had to worry about weeping with me when I wept – I was joyful after all. Ignoring feelings isn’t something that comes naturally to me. Every time I take a Myers-Briggs test, two things are certain. I will always be an E (extravert) and I will always be an F (feeling). The other two letters might change depending on my mood or circumstances, but not feeling. Feeling is woven into my personality at a deep level. Shutting down feelings entirely was incredibly difficult, but if I was able to pretend to feel something that was more appropriate than what I was actually feeling, I could get by. I learned to feel the correct emotion, if the actual emotion was not Christian enough. This was, of course, an unhealthy way to behave. If an emotional response seemed like the wrong one, or even was the wrong one, rather than examine it, I would simply choose something that seemed me to be more suitable for a Christian. Reactions to upsetting events didn’t get examined. Sure, I might be sad for a day or two, but not being honest about my emotions made it harder for me to actually understand my emotions as they were happening. So sadness would be pushed aside as quickly as possible so that I was able to present something that was more Christian. No self-examination allowed. My emotional palette was not devoid of color, but was simply covered by the single shade of joyful that was allowed. When your world falls apart, you can keep doing what you’ve always done, or you can look at your situation and make changes. After an affair and divorce and following the deaths of both a parent and a son, I knew that the way that I dealt with my emotional responses to difficulties was not in a good place and that I could no longer paint with a single color, but I needed to explore the full range of my emotions. I needed to be honest about what I was feeling when I was feeling it, and if it was something bad, I needed to go ahead and feel that bad. In order to do that, I had to look at my faith, look at the ways that I had used it to keep myself from feeling and look at ways that it had been twisted and begin the process of sorting out those knots. I had to see what God really said about our feelings. I have always loved the word “poeima” found in Ephesians 2:10. We are God’s workmanship, God’s poetry. As I began to consider what it meant to live a more honest emotional life (and ultimately, a more honest life), that had more appeal to me. The idea that I was poetry began to take root. Poetry is a constant stripping away of needless words to get to the most bare, honest emotions of the writer. The more artful the poet, the more we as readers are able to feel what they are feeling. Regardless of the subject matter, the poet must put forth the most honest view to create their art. When they hide the truth, the poetry becomes bland, trite, dishonest. I do not want to live a life that is bland, trite, dishonest. I want to live a life that is bright, uncommon, authentic. 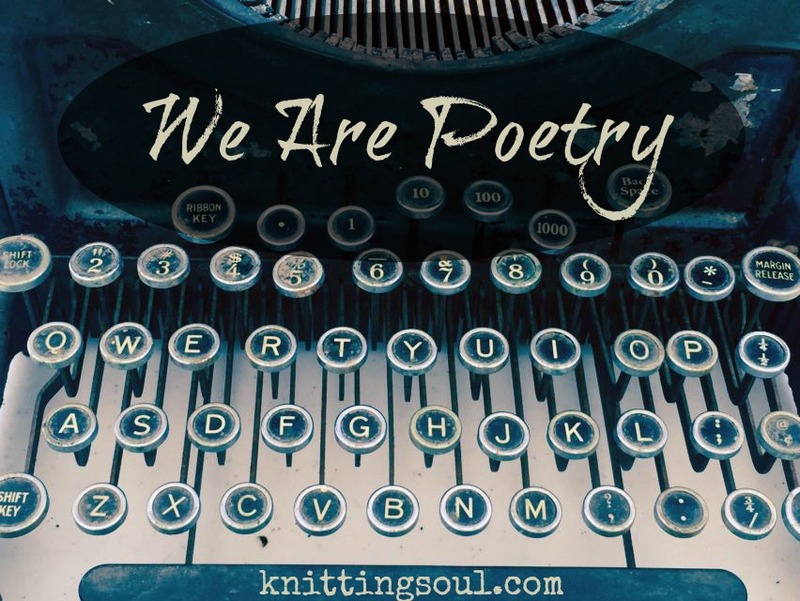 We are poetry. And if we believe that we are created by an artist who cares about the creation, we must be honest. We must sing out all of the emotions that we feel, unashamed. We must weave those colors into our life honestly and boldly. In the book that I will soon be releasing, I am writing about living fully in even our grief. Each Friday I will be mailing out an email with excerpts from my upcoming book, Embracing Grief: Leaning Into Loss to Find Life. To receive this, along with pre-order updates and information on how to receive a free copy, sign up for my newsletter. This entry was posted in Embracing Grief, Grief and tagged books, Christianese, Embracing Grief, emotions, grief, happiness, joy. Bookmark the permalink. I agree! 🙂 many things relate me and why I write within this article! Liked it!